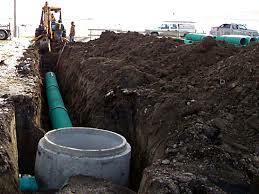 There are very few scenarios where we find a client needs to enlarge, expand or replace a sewer pipeline. A main sewer line is built almost to last forever. Only an unusual external or internal occurrence can cause the sewer pipe to crack and break, especially the old types of pipes that are made from cast iron, which is no longer in use. When you call a NJ sewer repair company to repair a sewer pipe it might be a once in a lifetime occur that you have to do this type of job. 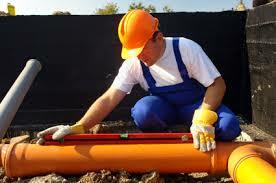 If your pipe is broken and your sewer is leaking, that’s a good reason to replace and repair a pipe but more importantly its important to estimate and to investigate the cause of the broken line and of course to fix it as you do not want to find yourself in the same scenario of a sewer clog, water sewer leaking underground or above ground. 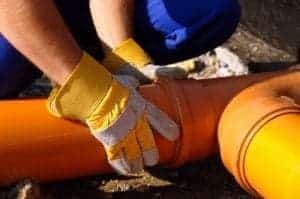 If you need to replace the sewer line because the town requires you to do so, your pipe might interrupt the health of your environment by sewer leaks that creates environmental damage or your property sewer line needs to be updated due to increased number or tenants per the code. In this type of scenario where you have expanded your building and now more tenants need to use the sewer line. I know what you think, can that sewer line handle the added usage and how often are people using the toilet or bathroom at the dame time that the sewer line cannot handle it and transfer the water properly. One you cannot argue with which is the New Jersey Code for sewer line size, measurements and capacity. Second is the limitation of same sewer lines that need to be relocated or a new line needs to be added and combined into an existing one as the property size has expanded in terms of square footage on the first floor ground. Unlike building commercial properties or apartment buildings, or even a two family home that expand up and bathrooms and kitchens are usually built at the same location on the above floor as the bath and kitchen of the first floor, one on top of each other to the maximum height of the building code in your zone and usage. 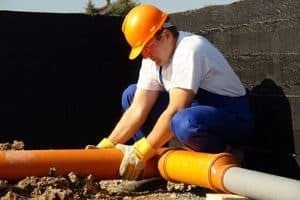 So sometimes replacing the line is a better solution for a new construction and a new addition or remodeling because relocating a line to a bigger one is often easier than running two or more new sewer lines from your NJ property to the main NJ city sewer. 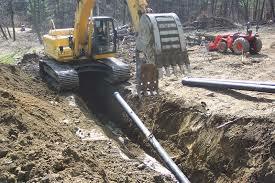 In today’s world its also very rare to have to excavate and repair and remove main sewer pipe. We highly recommend that you do not do so until you speak to a professional NJ sewer repair company so we can help you make a wise decision and reduce your sewer repair costs whether they are at your own house or commercial property. 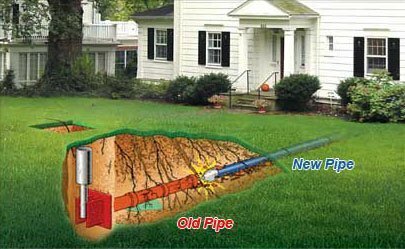 There are new technologies and besides that experience with sewer and drain lines is extremely important to find a drain and sewer solution or combinations of sewer and drain solutions to make the repair at the lowest cost and at the minimum risk. As every time you have to open the road, you have to cut the blacktop or concrete, disturb the landscaping or go underground, there is a risk involved and in some towns the contractors or sewer repair jobs need to be permitted by the town first. You have to consult with the town to look into the property’s land and ground level plans to ensure that there are no other resources in the way, like telephone wires, internet cables, gas lines or other drain sewer lines that can cross with your lines or where you are planning to dig. That’s called “call before you dig”. As always, feel free to contact us and we will give you free advice and a free estimate for every NJ sewer repair job. We are available 24/7 for any plumbing emergency and would be happy to come and show you the way to do it quick and at a minimum cost.